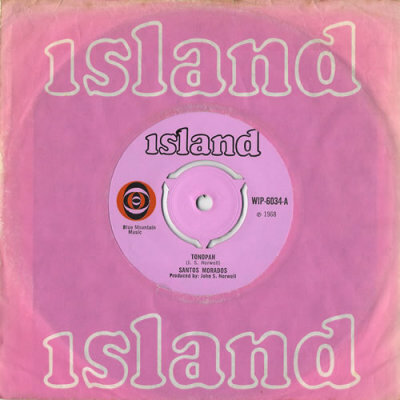 Tonopah by Santos Morados released on the Island label in 1968. 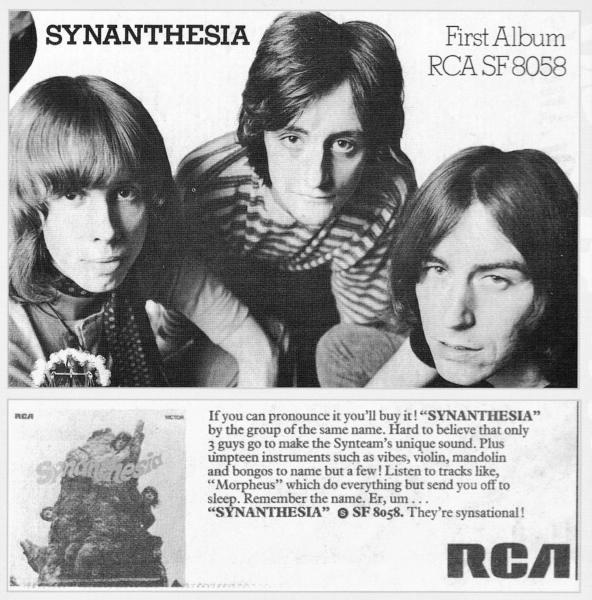 Synanthesia, 12 inch vinyl LP released September 1969 on RCA, (RCA SF8058). 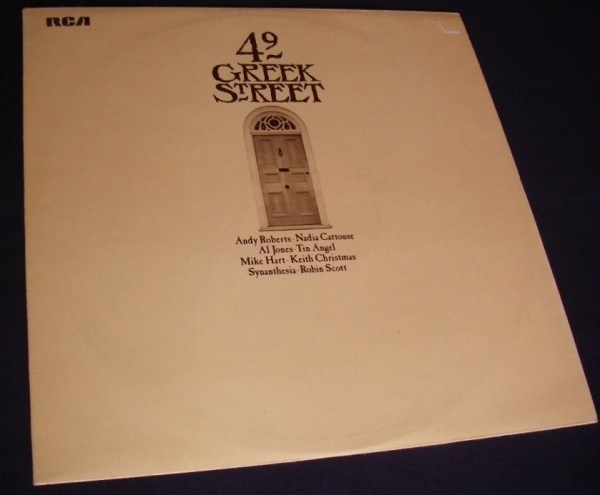 49 Greek Street, 12 inch vinyl compilation LP featuring various acts in tribute to Les Cousins, the iconic London folk club where many great acts of the 60’s played. 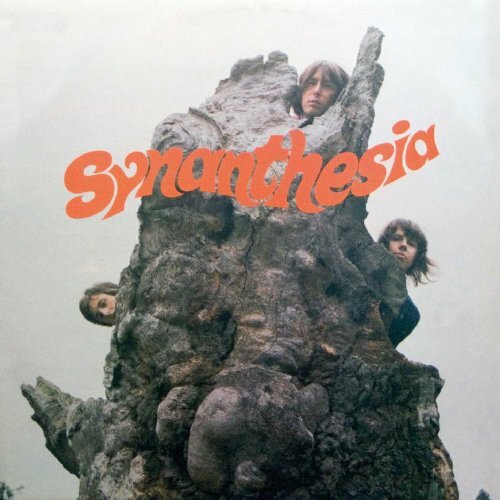 This record feature Shifting Sands by Synanthesia written by Dennis Homes. In 1972 Peg Records included tracks from the Synanthesia album on two 12 inch vinyl compilation albums "Club Folk 1" and "Club Folk 2". 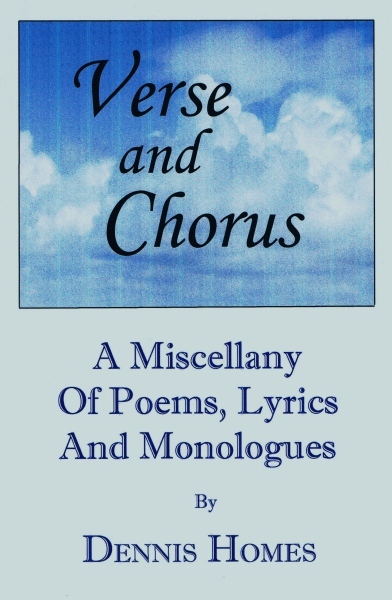 Also included on these albums were tracks from artistes such as Martin Carthy And Dave Swarbrick, –Shelagh McDonald, Andy Roberts, Nadia Cattouse and Keith Christmas. 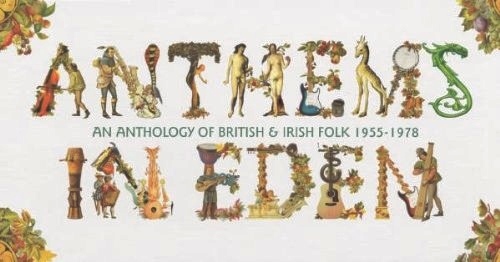 Anthems in Eden is a 4 CD compilation boxed set featuring top British and Irish folk influenced acts from 1955 to 1978. Included are tracks from Lonnie Donegan, Ewan MacColl, Billy Connolly, Gerry Rafferty, Bert Jansch, Sandy Denny, Lindisfarne, Steeleye Span, Tyrannosaurus Rex, Nick Drake, Fairport Convention, The Incredible String Band and Synanthesia. Also included is a 48 page book detailing all the artistes featured in this set. Released 2005 on Castle Music (part of Sanctuary Records) CMXSBX 1030. 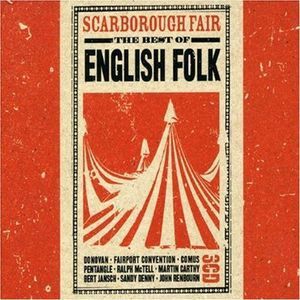 Scarborough Fair – The Best of English Folk. A 3 CD boxed set featuring many acts such as Donovan, Fairport Convention, Pentangle, Ralph McTell, Martin Carthy, John Renbourn, Lindisfarne, The Spinners and Synanthesia. Castle Music CMETD1273 released 2006. 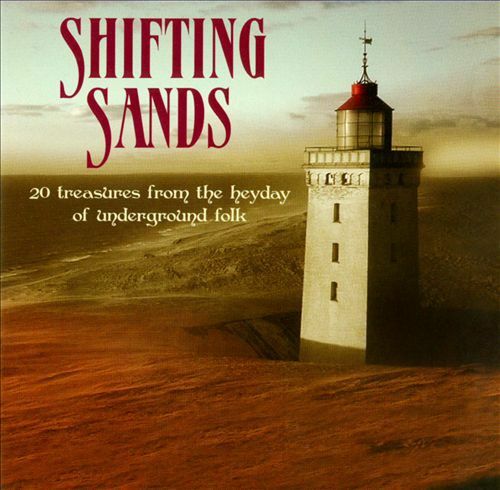 Shifting Sands, a 20 track CD featuring artistes such as Wizz Jones, Gary Farr, Meic Stevens, Gordon Jackson and Synanthesia. 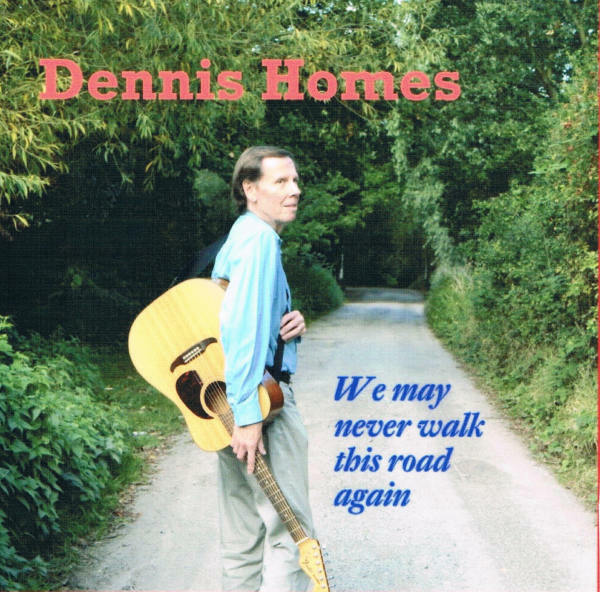 Dennis’s song Shifting Sands is the title track. 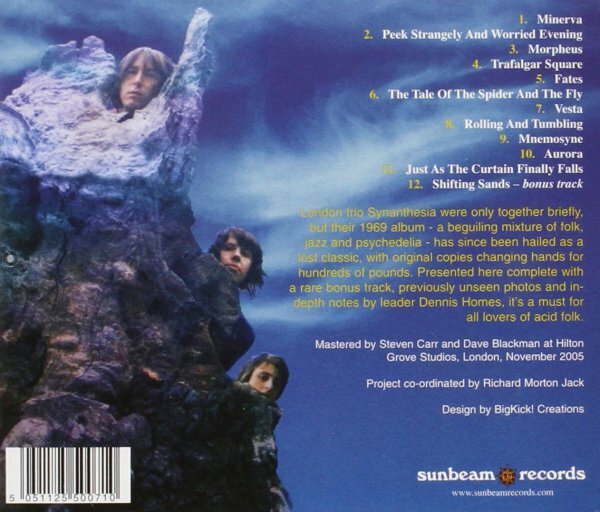 Sunbeam Records SBRCD5075 released 2009. 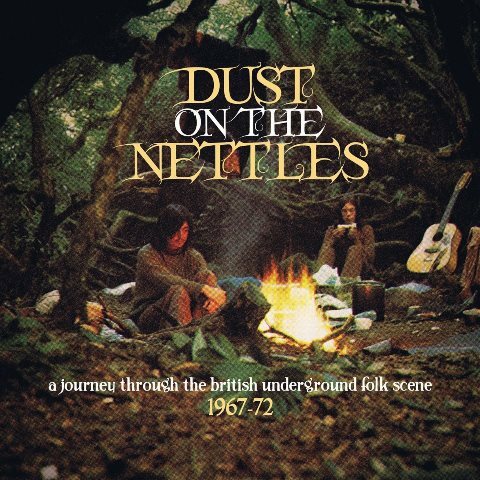 Dust on the Nettles, a 3 CD boxed set featuring artistes such as Joan Armatrading, Pentangle, Fairport Convention, Vashti Bunyan, Anne Briggs, Steeleye Span, T Rex and Synanthesia. Also contains a 36 page book. Released on the Grapefruit Records label CRSEGBOX030 in 2015. 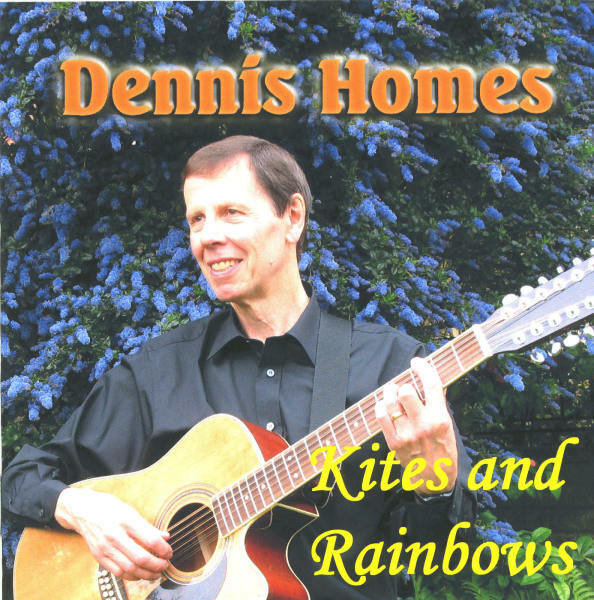 Kites and Rainbows, Dennis Homes first self-produced solo album. LN148 released 2008. 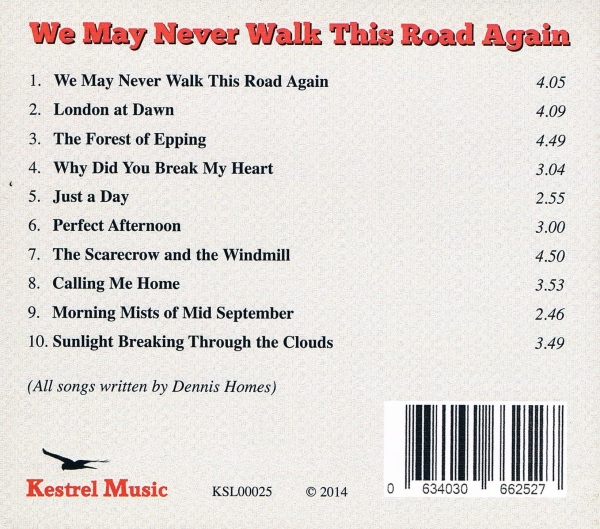 We May Never Walk This Road Again, released on Kestral Music 2014, (KSL00025). 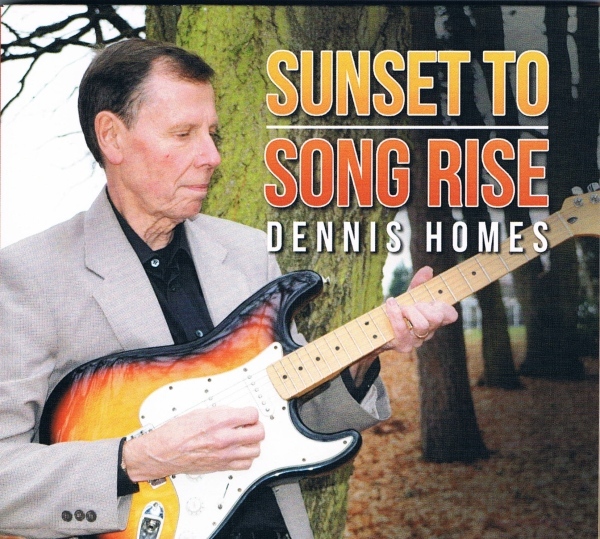 Sunset to Song Rise, the latest album from Dennis.